Chose an existing designer in the design world (graphic designer, interior designer, fashion designer, architect, etc.) 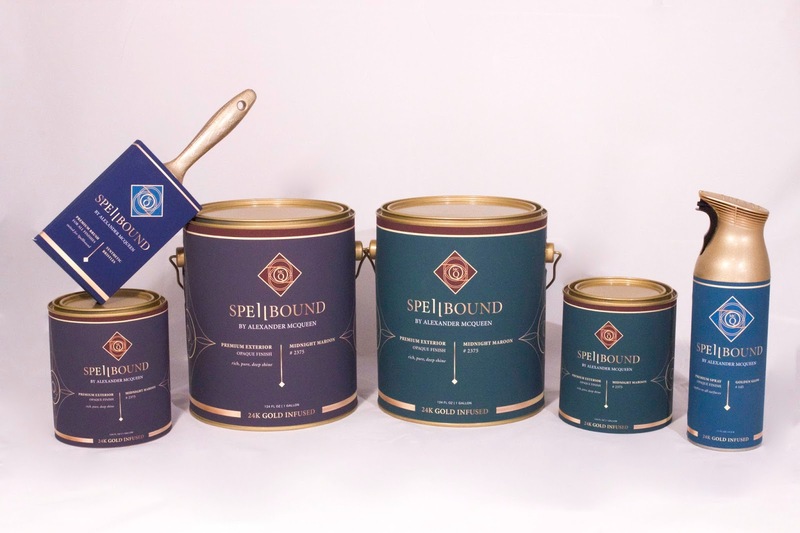 and create a brand of home paints based off of that designers beliefs and aesthetic. 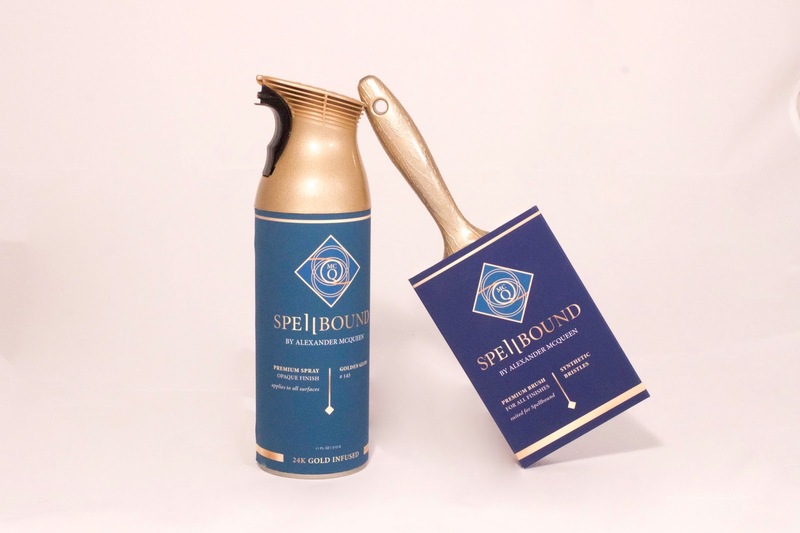 Create new branding and apply it to the packaging. My chosen designer was Alexander McQueen. 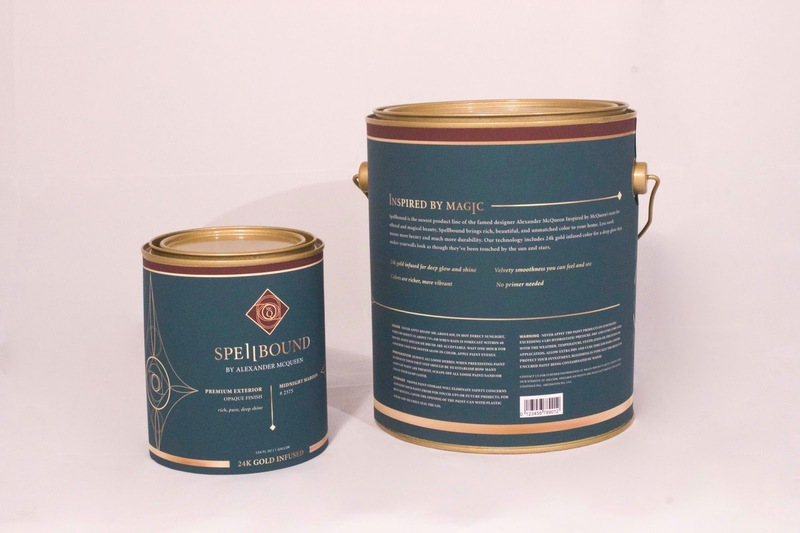 This packaging and branding is based off the idea of inspiration. 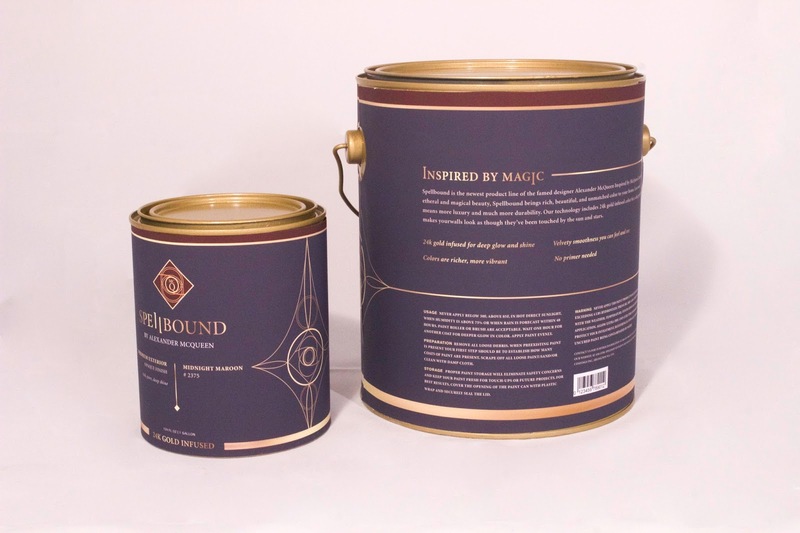 "Spellbound" is a rather mystical name that paves the gateway to luxury and creation in or around the home. The entire line is apart from whats currently on the market because of its high-end look and feel, but most of all its ability to inspire the creator to turn their home into something luxe, moody, and beautiful.